Something a lot different from me this week - and not at all Christmassy!!! 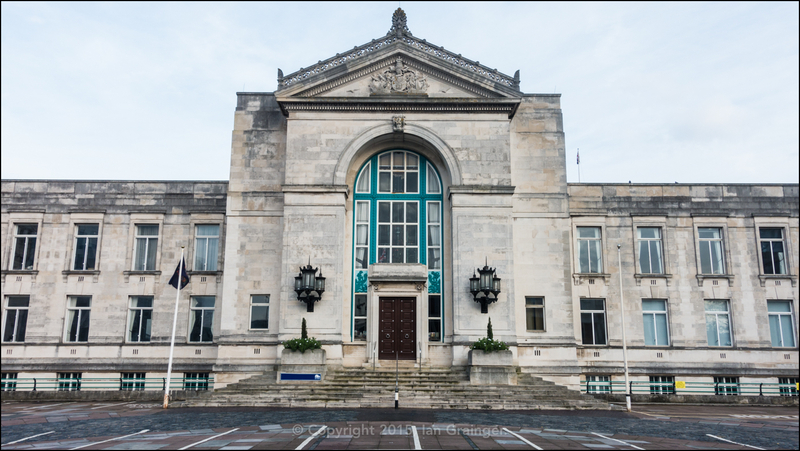 This building is part of Southampton Civic Centre, which I photographed recently while on a Christmas shopping trip. Actually, it was more of a Christmas photography trip around town that had very little to do with shopping at all. I don't often shoot subjects other than nature, but I quite liked my trip around the city centre, mostly shooting architectural abstracts to be honest, but I quite liked the way this one turned out. 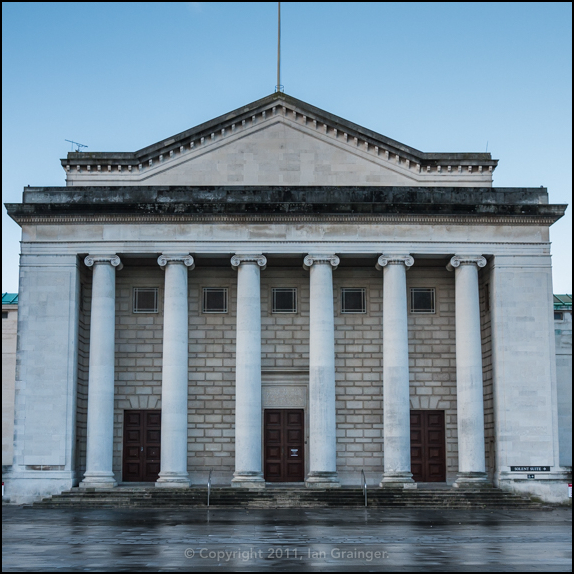 The building itself is the home of Southampton City Council, although it also houses the Sea City museum, the Guildhall concert venue, the city art gallery, the clock tower, and the city library, as well as the council offices. The foundation stone for the complex was laid on the 1st July 1930, and the first part to be opened was the South Wing (shown in the main image), which opened on the 8th November 1932. The West Wing, which now houses the Sea City museum, also contains the clock tower. 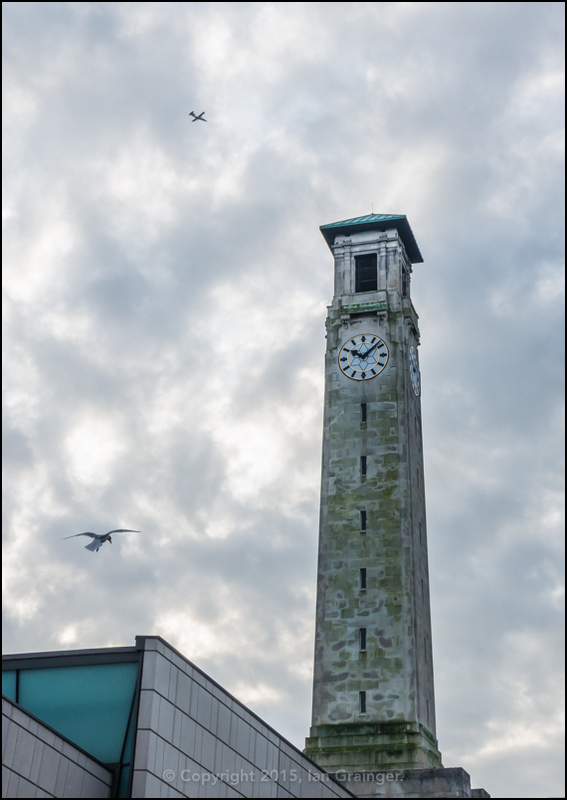 The clock tower was not part of the original design for the building, but was added to the design before building work started. The tower is tall enough to be seen from most points within the city. The East Wing of the building contains the Guildhall concert venue. Work started on the East Wing of the building in March 1934, and it was opened on 13th February 1937. The only part of the building I don't seem to have a photograph of is the North Wing. The North Wing now hosts both the art gallery and the library. The North Wing was the final part of the complex to be constructed, and was opened in 1939. So, for giving me a very different subject to shoot, and for challenging me in trying to get everything lined up and symmetrical, I'm making this my Image of the Week. Finally, can I wish all of my readers a Very Merry Christmas and a Happy New Year!